To make things easier find a trusted partner in MED2X. Relax by getting a best online HMS Software installed! Make Hospital Management Easier With A Tailor-Made Solution! Managing a hospital on your own can be a challenging task! Make management easier with MED2X’s Hospital Management Software! 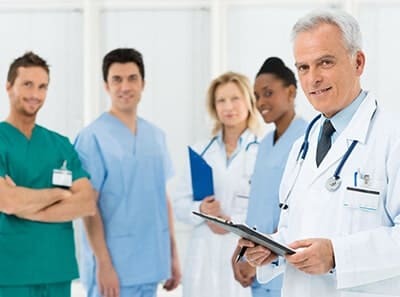 “We Care, Hence we are into Healthcare"
Med2X is one of the premier Health Management Software Products Development companies that enjoy a great market reputation for designing and developing result oriented solutions for its clients worldwide. Take advantage of our specialist services to get a highly customized HMS system for managing your hospital better and increasing profitability. Facilitates easy access to patients’ data and users can generate different types of reports to study patient records at any given time. 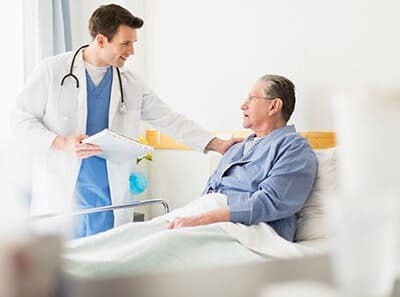 ERP for hospital program can work like a support system and enable administrators to take decisions for devising comprehensive health policies. Enables accurate and efficient handling of finances, patient diets, engineering and medical aids provided to patients. Can even take care of drug prescriptions and administrations as well as monitor and study their effects on patients. Information accessed will be authentic as transcription errors and duplication of patient information will get drastically reduced. MED2X, the Medical ERP, boxes a fully integrated state of art Hospital Management Software System for mid-size to large hospitals, Pathology labs and Clinics. A clinic management software program which can deal with daily operations of medical clinics. Users can also schedule appointments with patients, maintain their medical records and even handle payments online. A web enabled LIMS software solution that effectively manages patient’s information with regards to various tests for diagnosis of illness. Doctors can take further course of action based on these reports. By installing an online best hospital management software, you can maximize revenues by reducing overall working costs and even patients will have a good experience. Software features are completely user-friendly and no formal training is required for operating Med2x HMS system. 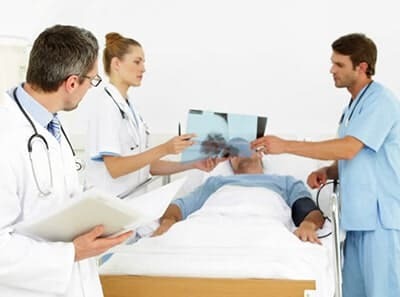 Users are not needed to get any type of licenses for operating the online hospital management software and they can be easily run on desktops. As it a web based hospital management software, it is not required to be loaded on each individual system in the hospital. The system is dynamic and customizable as a result of which it can be easily integrated with other systems in hospital. Web based solution has a robust database and is scalable so it can take care of operations at multiple locations from a centralized administration office. We trust that the accomplishments of an organization are the effect of the consolidated exertion of every person. All things considered, we are extremely pleased with our product. We endeavor to increase the value of each exchange we attempt. Besides our business is about innovation, Yes. But on the other hand it's about operations and client relationships. So we consider rather concentrating on the competition, concentrate on the client. We thank the Med2X team for providing us tailor-made hospital management software. The solution has exceeded all our expectations and the results show that. There has been a huge reduction in our operational costs and improvement in our working efficiency. And the software’s customer-centric approach has invariably enabled us to stay ahead of our competitors in the entire hospital industry. If you are out to buy a easy to install and user-friendly hospital information system then Med2X’s Hospital Management Software may be the way to go. The program offers multiple features that are capable of handling numerous functionalities in day to day hospital administration. Besides, support services are available 24/7, 365 days to make the task of hospital management stress-free.